The long-awaited season opener served up a number of surprises and ripped up the script that was expected after winter testing. It’s not only advantage Mercedes but also advantage Valtteri Bottas, Max Verstappen showed that Red Bull are contenders, while Ferrari baffled us – and themselves – by being just plain slow. Valtteri Bottas, after stringing together a brilliant lap in Q3, was visibly upset to be pipped at the post by Lewis Hamilton in qualifying. The creeping doubts would have troubled the Finn, who failed to win a race in 2018, who struggled to match Hamilton throughout last season, and who some analysts have described as “dead man walking” with Esteban Ocon waiting in the wings. But as the lights went out in Melbourne, a new Bottas emerged. Or as Totto Wolf said after the race, Valtteri worked really hard in the off-season and said “I’m back”. Pointing towards his head, Bottas said: “I’m stronger up here” after sweeping aside all comers in Australia, including Hamilton. It was a thoroughly dominant display, reminiscent of Hamilton at his best. His start was razor sharp and from then on he had the pace to control proceedings from the front. The performance also had echoes of Nico Rosberg’s start to the 2016 season. Back then Hamilton had pole, too, yet it was Rosberg who went on to claim victory to set the tone in what was his title-winning campaign. 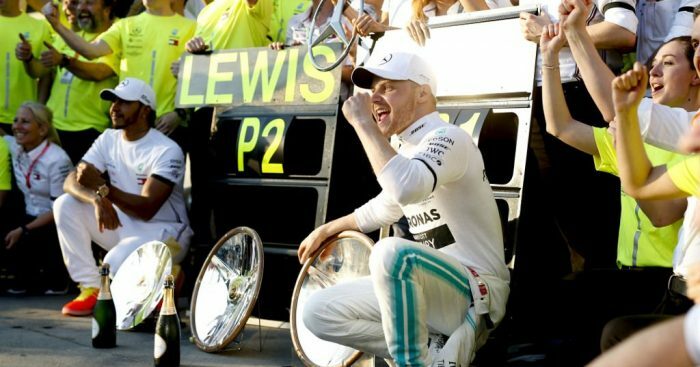 It’s too early to draw a direct comparison between Bottas and Rosberg, but the current Mercedes star will no doubt draw inspiration from the manner in which the German took the fight to Hamilton three years ago. Red Bull’s weekend was compromised when Pierre Gasly failed to get out of Q1 due to the team’s strategic error. 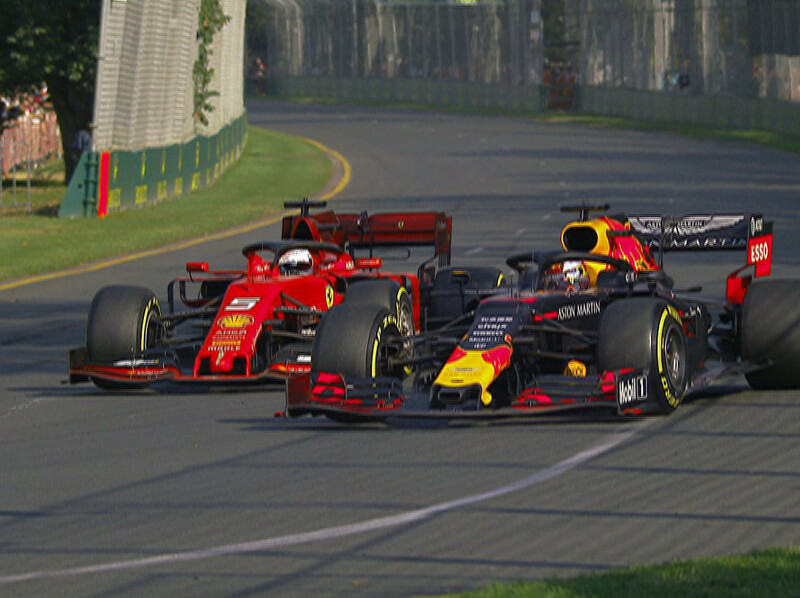 Max Verstappen, though, split the Ferraris to start fourth, and the young Dutchman completed the move of the race to overtake Sebastian Vettel to claim the last step on the podium. With Mercedes claiming a one-two, albeit led by Bottas, it is tempting to conclude that the competitive order is unchanged with the Silver Arrows leading the way. Verstappen, but for an off late in the race, could well have slipped past Hamilton to claim P2. The Red Bull chassis is again excellent, and if Honda can extract a few more horsepower in qualifying, the Mercedes party (mode) could well and truly be over. One answer to this question is that Ferrari’s in-wash aero philosophy creates a consistent spread of downforce, but less overall downforce. On the evidence of Australia, this could indeed be the case, while Mercedes’ aggressive out-wash approach creates more intense downforce but leaves the car more on edge. 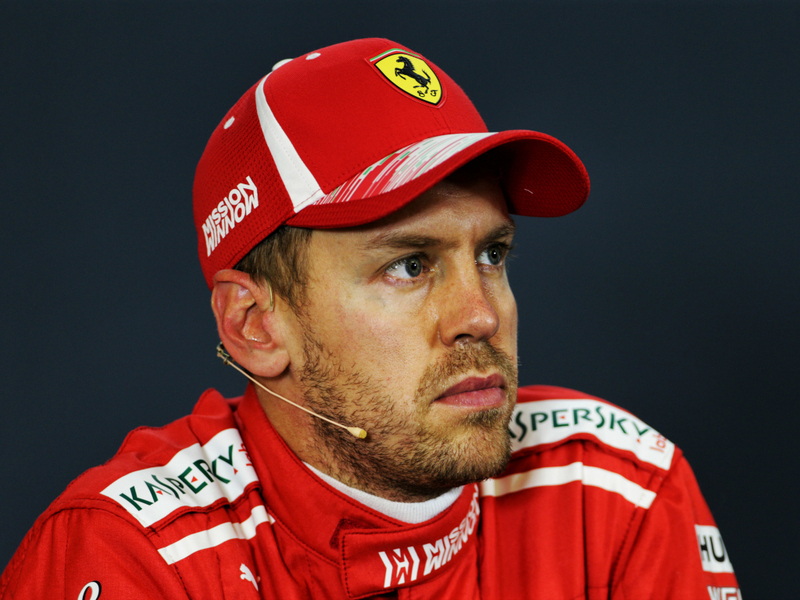 The new rule, which provides for a point to the driver that sets the fastest lap within the top 10, was met with mixed feelings ahead of the season opener. However, the drivers were eager to win the point on offer and, in the closing stages in Australia, aggressively pursued purple laps. The added dynamic seems to be an overall positive addition to the regulations. How long before a point is awarded for pole position? Kevin Magnussen fired an early warning shot for Haas with an excellent sixth place, to bury the ghosts of last year’s failure. The Dane also had the pleasure of keeping rival Nico Hulkenberg at bay on track. Kimi Raikkonen, whose P8 was a fantastic result on his return to the Sauber team now rebranded as Alfa Romeo, and Lance Stroll pounced to claim ninth on his debut with Racing Point by capitalizing on the Antonio Giovinazzi train that held up the likes of Stroll’s team-mate Sergio Perez. Toro Rosso’s Daniil Kvyat, on his latest return to the sport, grabbed the final point in a headline-grabbing way as he held off the second Red Bull. Lando Norris may have missed out on the points, but he impressed both in qualifying and with his racecraft, notably sending one up the inside of Giovinazzi. Daniel Ricciardo, as his Renault debut will live long in the memory for all the wrong reasons. The Australian, at his home race, missed out on Q3 and was outqualified by his team-mate. At the start, Ricciardo mounted the grass, losing his front wing in the process, and later retired after an anonymous race. Pierre Gasly, who was 11th, put in a performance that was just not good enough given that his team-mate finished on the podium. Ferrari did not have the fastest car in Australia. Not the second. But we won’t know more until Bahrain, as Ferrari’s woes could well have been specific to Melbourne. The men from Maranello tend to go well at Sakhir, but they will travel to the Middle East firmly on the back foot. We can also expect a resounding response from Hamilton after his thrashing, while Gasly will need to get close to Verstappen to avoid what could quite quickly become a year of pain for the young Frenchman.